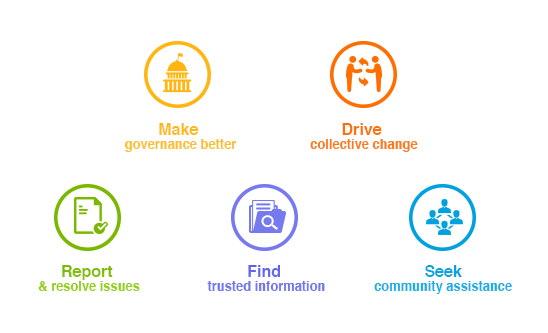 24 Feb, 2017, New Delhi: LocalCircles, which operates online citizen communities on various issues concerning the citizens had undertaken the cause of reducing cost of life saving drugs last year which just recently saw some action from the Government. Two weeks ago, the National Pharmaceutical Pricing Authority (NPPA) announced that it was reducing the price of coronary stents by up to 85% by capping them at Rs 7,260 for bare metal ones and Rs 29,600 for drug eluting variety. In the consultation post the announcements, citizenry has greatly appreciated this move by the Government but they are also keen that the Government ensures that this is implemented on the ground. To that order, citizens have suggested that all key citizen use medical devices such as coronary stents, heart valves, orthopaedic implants, catheters, intraocular lenses, capsule endoscopy equipment, air vent test machine etc. should all have MRP published on them. A detailed poll was conducted by LocalCircles to gauge the magnitude of the issue in which over 9800 citizens participated from across India. 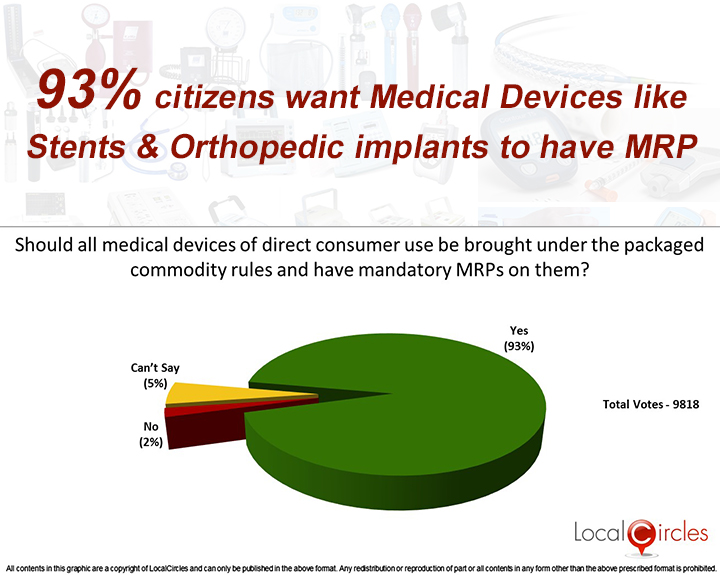 Approximately 93% citizens said that all citizen use medical devices must be brought under the packaged commodity rules and have MRPs on them. 2% citizens were against the move and 5% citizens did not have an opinion. Approximately 67% participants in the poll were male and 33% were females. LocalCircles has submitted these findings to the Department of Consumer Affairs, and to the Department of Legal Metrology which administers the Packaged Commodities Rules requesting an amendment to Packaged Commodities Rules 2011 on behalf of the consumers.